Why the Resistance Units were formed; and what are they pursued? What are their activities and what are they doing? What is the response of the Mullah’s regime to Resistance Units? What is the effect of the Resistance Units on the uprising of the Iranian people (Iran Protests) and how it affects the regime’s relations with other countries? The fact is that the Iranian society is under a repressive and religious dictatorship system that has spread poverty and misery throughout Iran by its disgraceful rule. The regime that has pushed the country’s economy with warfare and export of crises and terrorism to the Middle East and the rest of the world. The regime that with the unprecedented plundering of the Iranian people’s wealth and resources, and the widespread corruption of all the regime’s officials and agents, to the worst situation in the last 40 years has achieved. Ignoring the freedom and basic rights of the people of Iran and responding to any protest speech with execution and torture. Half of the society, women, are under the most severe repressions and they are deprived of their lowest human rights. The regime that destroyed Iran’s nature and environment and many Iranian lakes and rivers and forests have also been destroyed by the regime’s predatory policies or have been subjected to complete destruction … This list continues. So now what should be done? The first objective of the Resistance Units is to break the so called the “power” of the regime, which apparently wants to say that its power is still not broken. The rule of corruption, poverty and tyranny, with its repressive organs, like Basij’s militia, and centers of the Mullahs, which are centers of crime and corruption, yes, all of this will be crushed by the Resistance Units. The second goal of the Resistance Units is that return the morale of the people, which is due to the suppression and misery is damaged, so when the activities of the Resistance Units are carried out, people get the strength and strength of the heart. When such a thing emits in society, when people see such activities, they are samples for and people learn from them. It’s a way that show to the people who can join to the Resistance Units too. The role of the Resistance Units has now created a movement and activity in people, especially women and youth. Now, after more than a year of activity of the Resistance Units, the people themselves become active, and there are many activities on the Iranian scene that have been inspired by Resistance Units and have not been recorded or filmed. Another goal to create and operate the Resistance Units, is Internationally purpose. All those who are still eyeing to inside this regime and wanting to continue an appeasement policy with this regime, and in reality they want to keep our people under this dictatorship corrupt, these Resistance Units and their activities reveal that the era of appeasement with this regime has come to an end and that they can no longer continue this trend. Therefore, the activities of Resistance Units are important in this regard. A look at the activities of the resistance units, especially after the Iranian uprising in December 2017 and January 2018 and its persistence over the past year in various kinds of protests and strikes by different classes of people in cities throughout Iran, indicates the success of the MEK’s strategy of resistance units. A strategy soon expanding the protests and leading these resistance units to overthrow the evil dictatorship of the Velayat-e Faqih and establish freedom and democracy and human rights and justice. I am a blogger and political activist. I’m trying to establish democracy, freedom and human rights in Iran. Thanks Dalvand for the Iranians update. God is faithful. The city of Iran shall rejoice again. Glory be to God Almighty. Amen! Amen! thank you so much. God bless you Israel. Happy New Year to the people of Iran who refused to lose hope even under the oppressive and dark rule of the mullahs. Congratulations on Nowruz to the families of martyrs, to the resistance units, to supporters of the Iranian Resistance, to political prisoners, to members of the National Council of Resistance of Iran, toPMOI freedom fighters and to Massoud Rajavi. Congratulations on the year of uprisings, the year of hope and exhilaration, and the year of progress and leaping ahead toward freedom and liberty. Let us all salute our dignified Albanian guests who have joined us today in this Nowruz celebration. The New Year, 1398, will be the harbinger of storms and change. Khamenei has already described it as the year when the enemies will make the final push to overthrow the regime. In the past year, our homeland was a garden witnessing the blossoming of its political and social spring. The flowers of uprisings, protests, and strikes bloomed. The uprisings in Kazerun, Borazjan, Ahvaz, and Khorramshahr; the uprising in the Bazaar of Tehran; the uprisings in 27 cities in early August; five rounds of nationwide strikes by truckers and truck owners; and consecutive strikes and protests by workers, teachers, educators and the retirees; and, finally, thousands of strikes, protests and demonstrations in at least 700 cities and towns. Hail to the arisen protesters and those who shape the uprisings! Hail to this freedom fighting generation! Yes, freedom must be earned. The spring of freedom will be achieved through your determination and your efforts. The spring of freedom for the people of Iran is on the horizon. The long-held U.S. policy of appeasement designed to protect the regime against regime change and overthrow was brought to a halt, and the beginning of sanctions on the regime’s oil sales has pushed Tehran into a phase of instability and insecurity. That is why the revolutionary realities of the Iranian society have become more evident and visible. In the meantime, the mullahs have extracted tens of billions of dollars out of the country. The economic austerity policy of Khamenei paved the way for further plunder of our people’s wealth. The value of the country’s official currency plunged by a third in less than a year. Inflation swelled four folds. Oil exports fell to a half to one-third and the budget deficit increased by at least 50 per cent. To preserve their decadent regime, the mullahs sold out portions of the resources and water of the Caspian Sea to northern neighbors, granted largescale fishing rights in the south to the Chinese, and conceded the administration of the Port of Chabahar to India. Still, this regime, which is close to its downfall, will not be able to save itself with the aid of such treacherous acts. In short, the mullahs have no way out in the face of nationwide uprisings and protests that are encircling them. This results from an understanding of the essence of the uprisings and offers a summary of the past year’s events. The regime’s death knell and internal tensions have left no more openings for it to display hollow shows of moderation. The myth of moderation was put to rest by the appointment of Ebrahim Raisi as the regime’s Chief Justice. He is a reviled mass murderer who ran against Rouhani, the charlatan, during the last presidential elections. His appointment represented a coup de grace shot to the illusive myth of moderation in the regime. This is while Rouhani’s government is half-paralyzed and the most important face of the cabinet facade keeps sitting at home every other day or resigns. In fact, the entire ruling regime is undergoing an accelerated rate of decay. Since they have no real chance of survival, the vali-e faqih (Khamenei) has arrayed his regime’s resources squarely on suppression, spilling blood and criminal activity. He appointed the regime’s previous ruthless Chief Justice as the head of the Expediency Council and one of the most brutal perpetrators of the massacre of 30,000 PMOI political prisoners in 1988 as his Chief Justice. Yes, this is the caliphate of massacre. The message is one of closing ranks and resorting to more suppression. The mullahs’ supreme leader seeks to compensate for his defeat in the 2017 presidential elections. He assumes that if Raisi had succeeded to become president, he could have prevented the uprising of December 2017-January 2018. Now, he has employed this bloodthirsty goon for the same purpose by appointing him to the Judiciary and the Assembly of Experts. The mullah who perpetrated the 1988 massacre and the executioner involved in the greatest crime committed in the history of the clerical regime must now close all the cracks within the regime. Otherwise, schisms and defections will not leave Khamenei alone for a minute. Nonetheless, the regime has no way to protect itself. On a daily basis, it keeps jumping out of the frying pan into the fire. Endless bickering and internal feuds over FATF (Financial Action Task Force), the unbridled plunge of the value of the official currency Rial, the alarming status of the budget and financial resources, the black hole of sanctions, defeats in Syria where IRGC mercenaries face repeated blows, the growing threats posed by at least ten million unemployed, and most important of all the unstable circumstances have forced the regime to be on high alert every waking minute of the day. At its core, the issue is not this or that crisis faced by the regime; the real issue is that their entire rule is in crisis. Yes, this crisis is the crisis of overthrow. And the prospect of overthrow will never abandon this regime, even as Khamenei orders 80 million Iranians to write his absurd speeches three times. The mullahs have no chance of survival. Throughout the past year, however, they were dreaming of finding a way out by annihilating the Mojahedin and the Iranian Resistance. So, they concentrated the core of their efforts on terrorism and demonization targeting the Mojahedin. But they failed. They planned a major terrorist plot against the Iranian Resistance in Tirana, Albania; they plotted a major bombing of the annual gathering of the Iranian Resistance in Paris. They also conducted terrorist and espionage schemes against members of the Iranian Resistance in the U.S. Add to this a vast volume of smear campaigns against this movement in the press, websites and social media, particularly inside Iran. Over the past year alone, the regime’s hirelings made a plethora of film series and movies against the PMOI aired by state-run TV networks or screened in movie theatres. Their terrorism and demonization efforts, however, were not successful. But in all honesty, they were truly successful in accomplishing one major task and that was to clearly show, hundreds of times, that their main threat, and the alternative to their regime are the Mojahedin (the PMOI/MEK), the National Liberation Army and the National Council of Resistance of Iran. Do you remember how much the mullahs and their collaborators dreamed of dismantling this resistance? They expected that after the relocation of the Mojahedin from Iraq, this organization and the movement as a whole would eventually disintegrate. But again, it was proven that they will have to take those goals to their graves. Last year, the Liberation Army was revitalized in 1,000 Ashrafs and resistance units and started flowing like a river in the streets of Iran’s cities. Now, the strategy and explicit positions of the Iranian Resistance are echoed in the words and demands of workers, truckers, teachers, students, farmers and all protesters throughout Iran. The overthrow of the clerical regime is the desire and demand of all of the people in Iran. The Iranian nation in its entirety is demanding the overthrow of the regime. Indeed, resistance units made significant strides through actions against the centres of suppression and the regime’s symbols. In some months of the past year, they carried out more than 100 acts to pierce through the atmosphere of repression. So, 1397 was the year of proliferation of the strategy of the Iranian Resistance, a year in which the prospect of the regime’s overthrow loomed large and the path and roadmap became even clearer. Yes, now, the Army of Spring is on its way, the army of spring with 100,000 flourishing roses. Parallel with this year’s uprisings, which exhibit the Iranian society’s devotion to welcome rejuvenation and spring, there was a continuous effort within the ranks of the Iranian Resistance to improve and advance humanitarian values and ideals. This effort was ongoing throughout the movement, from the Mojahedin organization, to other members and supporters of the Resistance in various countries, and to members of the resistance units in different cities inside Iran. The remarkable features of these efforts were reinforced resolve, renewed choices, increased motivation and advances by leaps and bounds in realizing the values of the ideals of humanity and struggle. Yes, this is indeed a new day with a new revolution in the making, bringing about change. Everyone is passionately endeavoring to create new values to reach the glorious destination of freedom. Everyone is trying their best and making their greatest sacrifice to fulfil their commitment to their enchained nation. They are showing that the strength within their collective enterprise and their coherent and robust organization as well as the power of their people is that enormous and undying force that will uproot the mullahs’ theocratic regime. This is why the Iranian Resistance’s Leader, Massoud Rajavi, declared that we have entered a new phase. Regardless of how long it takes and despite all the ups and downs, we must be ready and prepared because the policy of appeasement has failed, a policy which had protected the inhumane mullahs for three decades. Now the overthrow of the inhumane enemy is inevitable. Before all else, the army of freedom must be determined and get prepared by diving into a sea of rebellion and revolution. The instruments of revolution must be prepared. My salutations to your unwavering resolve, your vigor, and our people’s resistance. In the beginning of the New Year, I would like to ask mothers and fathers, my sisters and brothers, my young daughters and sons, that in the face of the cruel and criminal mullahs, you must move ahead hand in hand, with hope and vigor, and welcome the New Year 1398 because it is a year of uprisings, upheavals and revolution. You must revive the sense of solidarity and sympathy in our wounded society. Your solidarity is that great power the mullahs endeavor to limit or destroy day and night. The people of Iran want freedom and justice. They want equality and independence. They need trust, solidarity and coexistence. They want economic and social progress. They want a country where everyone is entitled to have a job and to enjoy equal economic opportunities, and where no one feels a sense of shame because they cannot afford to feed their children. We want an Iran replete with freedoms, where children and youths are happy, where talents and potentials are realized, and where women play their role in the leadership of society; a country that lives in peace, friendship and coexistence with its neighbors. The people of Iran deserve such a country and they will write and create such a destiny with their own hands. The gates of Iran are open to embrace a future without oppression, inequality and injustice; a republic based on the separation of religion and state; a country ruled by its people’s suffrage and sovereignty, where the people’s votes have the first and final words. Written by Staff Writer (https://www.ncr-iran.org)on 19 March 2019. The US has adopted a “maximum pressure” campaign toward the Iranian Regime since pulling out of the malign nuclear deal last year, reinstating economic sanctions and encouraging diplomatic isolation. By comparison, the European Union’s policy is largely undefined and they still seem eager to appease Iran, even if they are willing to confront the mullahs occasionally on isolated incidents. While many hope that the EU will move more in the direction of the US, especially following recent sanctions levied against some members of the Regime, they currently follow an appeasement-at-all-costs policy because they have not yet reached a consensus about what they should be asking Iran for. However, the key to understanding Iran is to recognise and reject Iran’s propaganda, which is there solely to present Iran as a normal country that is capable of internal moderation. This has previously led the West to embrace so-called moderates, like President Hassan Rouhani, despite the fact that there are no moderates in the Iranian Regime. After all, would a moderate appoint Mostafa Pourmohammadi as Justice Minister, despite knowing about his role in sending thousands to the deaths in the 1988 massacre of 30,000 political prisoners? Pourmohammadi, who claimed to be “proud” of his role in the massacre, was replaced in 2017 by Alireza Avaie, another man who served on the death committees only in a different city. This was compounded last week by the confirmation of Ebrahim Raisi, who served alongside Pourmohammadi on the Tehran death committee, as head of the judiciary. While Rouhani did not appoint Raisi because the Supreme Leader selects judiciary chiefs, this signifies that there is no real difference between Rouhani and Supreme Leader Ali Khamenei, which is what the US and the Iranian opposition have been saying. In fact, the Iranian Resistance has been leading an uprising against the Regime, in spite of a violent crackdown that saw 50 killed and 8,000 arrested, which calls for regime change. Resistance units in Iran have conducted over 100 anti-regime activities in various cities across the country in the past three weeks (since February 20, 2019) despite severe repressive measures by the Iranian regime. The units carried out protest actions in Tehran, Salmas, Uroumieh, Babolsar, Esfahan, Karaj, Chahbahar, Andimeshk, Makou, Khorramabad, Semnan, Abadan, Hendijan, Khoi, Zanjan, Amol, Golpayegan, Sabzevar, Neyshabour, Delijan, Azarshahr, Qazvin, Kazeroun, Dorood, Miyandoab and other locations. Resistance units torched or tore down regime banners depicting Khomeini and Khamenei and other regime symbols at major regime centers or public thoroughfares. The units also wrote graffiti and hung banners calling for Death to Khamenei, Rouhani, and supporting Iranian resistance leader Rajavi. They also hung banners depicting the Iranian Resistance’s president-elect for future Iran, Mrs. Maryam Rajavi, from bridges, buildings, and other locations. An overview of the black list of the religious dictatorship of Iran ruling over 40 years of their shameful rule, shows a devastated country economically and creating widespread poverty in the society, with the suppression and torture and the execution of any opposition voices in Iran, as well as the destruction of the country’s environment, the oppression of women and the youth inside Iran, and the export of crises and the war and terrorism outside the Iranian borders. Concerning the results of 40 years of devastation of the mullahs in Iran, it has been possible to write many books and figures of many of the catastrophes that this dictatorship has brought over Iran, which is not possible in this article. But the following brief report with an interesting and informative video gives a brief look at the destruction of the Iranian economy by the mullahs. This report and video are provided by YouTube’s PMOI/MEK YouTube channel. 40 years after Iran’s 1979 revolution, the ruling mullahs have taken the country back to the Middle Ages. Iran has large natural resources and the potential to improve the lives of all Iranians. In addition, Iran owns 7% of mines of the world, the largest hydrocarbon sources (Oil and Gas) in the world, 9.3% of the world’s oil and 18% of the world’s gas, and Iran itself has more natural sources than the entire EU area. But Iran is ruled by a dictatorship that spends all its wealth in terrorism and suppression. Iranian workers’ monthly salary is less than $100 and Iran is the only country that uses all its renewable water resources and is being pushed toward an irreversible water crisis by the government. Moreover, Iran has some of the most dangerous roads in the world and is among the top countries in road fatalities. The mismanagement of Iran’s economy has led to mass dissatisfaction and protests. The people of Iran believe they deserve better. In the past year, Iranian people have taken to the streets to reclaim their country and destiny. 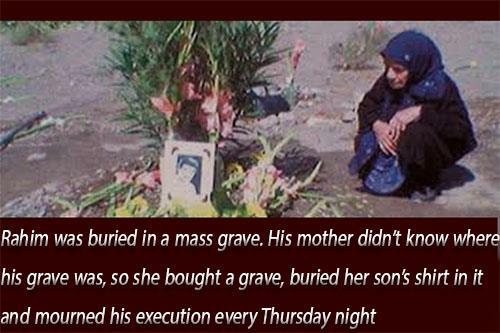 Another look at crimes against humanity by the mullahs regime in Iran; The 1988 Massacre. After 30 years of the terrible massacres of Iranian political prisoners in 1988, the extent of this catastrophe and the great crime against humanity has not yet been fully revealed. 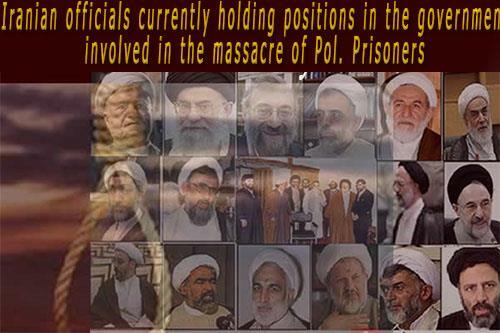 In this terrible massacre of more than 30,000 political prisoners, most of them were members and supporters of the PMOI/MEK, they were executed in a short time for being guilty of loyalty to their beliefs, ruthlessly by the mullahs regime and based on an anti-human fatwa of Khomeini. It is imperative that all human rights defenders in the world and all opponents of executions join the movement seeking justice for victims of the #1988Massacre, to bring the perpetrators of this great crime to justice. The executions of that massacre still in Iran are at the head of the highest government and judicial authorities and have not yet been accounted for by their crimes. In the highly informative article published on the website of the PMOI, it once again focuses on other dimensions of this major anti-human crime. I invite you to read this article. Iran, March 4, 2019 – Mostafa Pourmohammadi, former judiciary minister in the cabinet of Hassan Rouhani, President of the mullahs’ regime in Iran, has acknowledged his crimes during the horrendous summer 1988 massacre of over 30,000 political prisoners. The majority of the victims sent to the gallows during in this crime against humanity were members and supporters of the Iranian opposition People’s Mojahedin Organization of Iran (PMOI/MEK). Pourmohammadi was a member of the notorious “Death Commission” that sent the political prisoners to their deaths. “This is an active case. This dossier is now very much alive and the enemy has invested on this issue. And now, discussing this matter would be playing into the enemy’s hands. That is why I haven’t talked about this subject. I don’t know when it would be proper to talk about this matter… and unfortunately, the publication of that tape was literally an act of treason,” Pourmohammadi said in a state TV interview on Friday night. He was referring to the publication of a tape of remarks made back in 1988 by Grand Ayatollah Hossein Ali Montazeri, the then successor of regime founder Ruhollah Khomeini, who criticized the regime’s genocide in prisons throughout the country. “… it was a betrayal to the revolution and [Khomeini], and even to Mr. Montazeri. 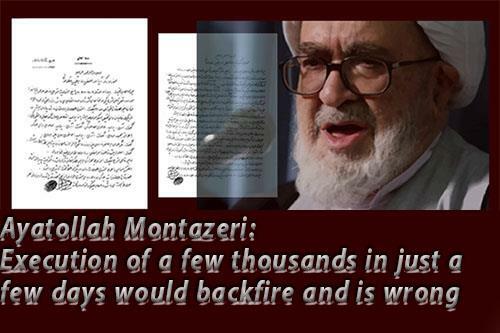 Mr. Montazeri made remarks, good or bad, wrong or whatever. He made a decision. That meeting and the publication of those remarks led to Mr. Montazeri’s sacking. When people make stupid decisions, seeking to take revenge, they become blind, and can no longer determine what is right or wrong,” he added. “Well, I defended [Khomeini’s] move. We had a mission in regards to the [PMOI/MEK], back when I was the Revolutionary Court prosecutor. I issued many indictments against the [PMOI/MEK] and sent it to the court. Many of them were condemned, many were executed and many other verdicts,” Pourmohammadi continued. More than 30 years ago have gone since the horrific and brutal massacre of political prisoners that was carried out in just one short summer by the criminal mullahs ruling Iran. In the summer of 1988, the clerical regime summarily and extra-judicially executed about 30,000 political prisoners held in jails across the country. This heinous massacre was carried out upon a fatwa by the Islamic regime founder, Ruhollah Khomeini. 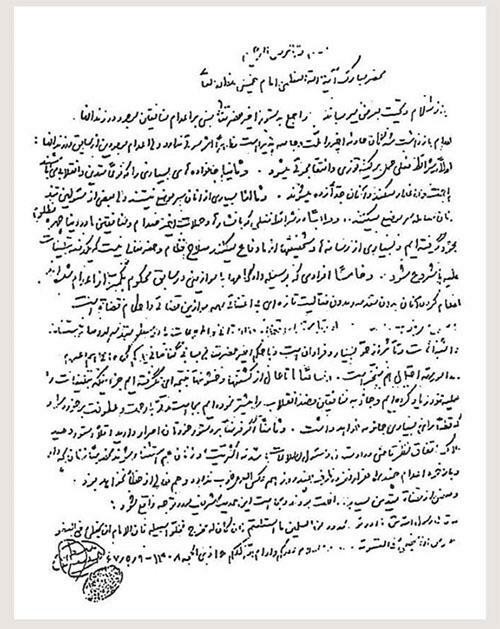 There are strong indications that Khomeini’s fatwa was issued on July 26, 1988. The Iranian regime has never acknowledged these executions, or provided any information as to how so many prisoners were killed in a matter of just a few months. The majority of those executed were either serving prison sentences for their political activities or had already finished their sentences but their time in jail was extended. Some of them had previously been imprisoned and released, but were re-arrested and executed as part of this heinous massacre. The wave of executions of political prisoners began in late July and continued unabated for several months. By the time it ended in the early autumn of 1988, some 30,000 political prisoners, the overwhelming majority activists of the People’s Mojahedin Organization of Iran (PMOI or MEK), were slaughtered. From 1981 to 1987 – Thousands and thousands of Iranian activists, mainly youth, were arrested and tortured for opposing the regime’s brutal grip on power and for supporting the People’s Mojahedin of Iran (PMOI, MEK). Interrogators threw political prisoners on torture benches, tearing them apart to destroy their wills and hearts. Young girls and boys were indiscriminately tortured and executed with no mercy. Women and men were beaten to death. Virgin girls were raped the night before their execution to supposedly prevent them from going to the heavens. Mothers were tortured in front of their children or children in front of their mothers to break their will. Wives were raped in front of their husbands, sisters in front of their brothers. They had to choose between repenting or suffering the doomed destiny. In the final phases of the Iran-Iraq war, Khomeini who felt that defeat was imminent, decided to take his revenge on the political prisoners. Most of the prisoners from that period of time who lived through to tell their ordeal, know that the regime was preparing all along for an extensive massacre from the onset and the first step of this diabolical scheme begun in the fall and winter of 1987. The regime started to sort and separate prisoners all over the country. The only thing that distinguished the prisoners was their political affiliation, whether they had repented and denounced the MEK, or they showed commitment to the only Nationwide Resistance against the mullahs, the MEK. Khomeini issued fatwas (religious decrees) ordering the execution of anyone who had not “repented” and who was not willing to collaborate entirely with the regime. 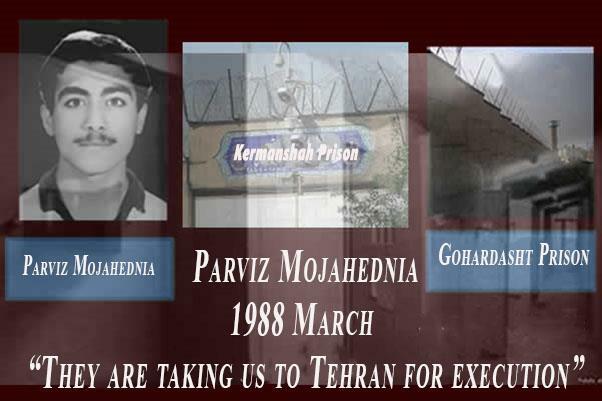 The executions started from Evin Prison, because almost all those with death sentences were kept in Evin and most of the life sentences were in another horrifying prison, called Gohardasht. Among those who were transferred from Gohardasht to Evin, were many that had already finished their sentence and were kept in prison extra time. But this didn’t end in Evin, and soon included other prisons, i.e. 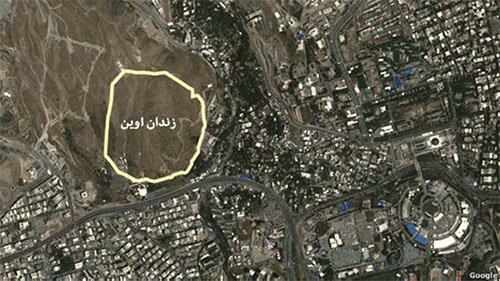 Gohardasht, Qezelhesar and other prison in the entire country. The massacres began, and everyday hundreds of political prisoners were sent to the gallows and their corpses buried hastily in mass graves all around the country, particularly in the capital Tehran. But in other cities and towns around the country, the regime was faced with difficulties in mass executing prisoners. Unlike Tehran which is a large city and things happen normally without much notice, other cities are relatively smaller and if the regime had begun mass killings, people would soon notice and would spark unrest and even uprising. So the evil clerical regime started to move prisoners from smaller towns and cities to the capital and some to faraway destinations to avoid unrest. 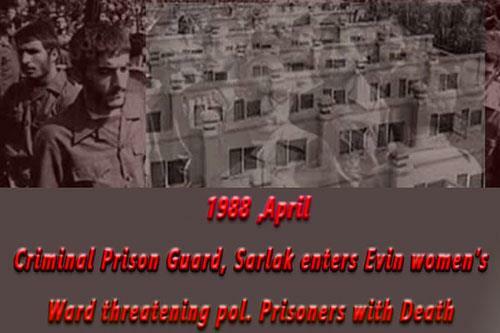 Therefore, prisoners were moved in hundreds to Gohardasht, Evin and other prisons. 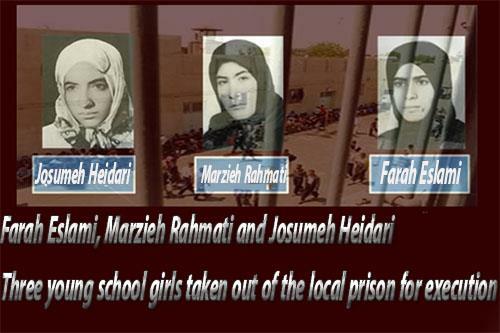 One report revealed that a few days after July 18, 1988 seize-fire of the Iran-Iraq war, a number of young female political prisoners including, Farah Eslami, Hakimeh Rizvandi, Marzieh Rahmati, Nasrin Rajabi and Josumeh Heidari were removed from Ilam prison, in western Iran, to the city of Saleh-Abad under the pretext of the previous prison being unsafe for them. But they were executed the following day, of course after they were raped. Khomeini assigned an “Amnesty Commission” for prisons. In reality it was a “Death Commission” comprised of the three individuals: A representative of the Ministry of Intelligence, a religious judge and a prosecutor. The final decision rested with the Intelligence Ministry official. They held a trial for a few minutes that resembled more of an interrogation session. The questions were focused on whether the inmate continued to have any allegiances to the PMOI (MEK). 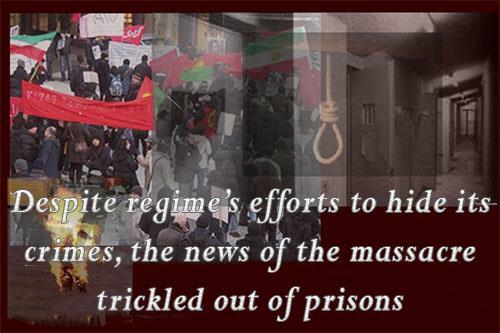 The PMOI prisoners made up of more than 90 percent of those taken before the “Death Commission.” If the prisoners were not willing to collaborate totally with the regime against the PMOI, it was viewed as a sign of sympathy to the organization and the sentence was immediate execution. The task of the Death Commission was to determine whether a prisoner was a so-called “Enemy of God” or not. In the case of Mojahedin prisoners, that determination was often made after only a single question about their party affiliation. Those who said “Mojahedin” rather than the derogatory “Monafeqin” were sent to be hanged. The haste to execute was so abhorrent that some of Khomeini’s closest confidantes, most notably, Ayatollah Hossein Ali Montazeri, Khomeini’s successor, had doubts and protested it. In letters to Khomeini, Montazeri urged for some leniency and slowing down. But Khomeini ordered there should be no mercy to anyone, including teenagers. He said pregnant women should not be spared or have the chance to give birth to their child and should be executed immediately. In December 2000, Montazeri published his memoirs. The book revealed shocking documents on the atrocities committed by the clerical regime, none as horrendous as the massacre of 30,000 political prisoners in 1988 on the strict orders of Khomeini. Montazeri’s book was not the first document informing the world of this massacre. News of the carnage had already begun to trickle through the iron curtain of censorship imposed by the mullahs to ensure a complete blackout on their crime. 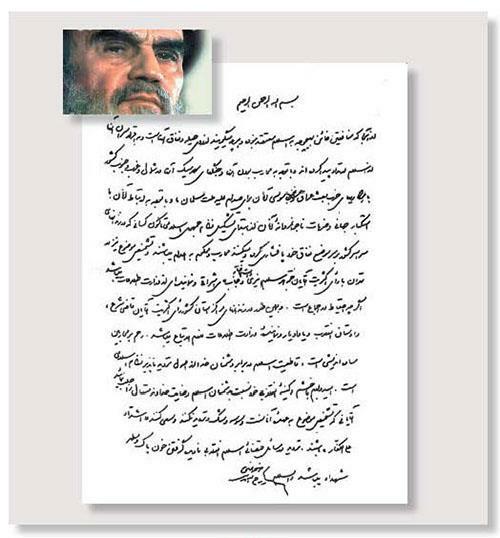 Text of Montazeri’s letter to Khomeini on July 31, 1988, complaining that mass execution of Mojahedin (PMOI/MEK) prisoners would only embolden them and enhance their legitimacy and popularity appeal. All officials of the regime at the time had to conform fully to this massacre or they would be sacked or deposed. Ayatollah Montazeri, who protested the massacre, fell from grace and was sacked by Khomeini in March 1989. Montzaeri’s memoirs in December 2000 and its shocking enclosures exposed the horrendous scale of the massacre. What gave weight to the revelations is that they were made by a man who was at the time of the executions the officially ordained successor to Khomeini and the second highest authority in Iran. Yet, when it came to massacring political prisoners, Khomeini showed no mercy to the slightest nonconformity even by his own successor, Ayatollah Montazeri. Another story reveals of a young man who was arrested under an assumed name. He never revealed his true identity. This young man’s name was Mortaza Tajic. He spent 7 years in prisons under the assumed name and his parents were never able to find him. His father did everything to get a lead as to his whereabouts. In 1986 he openly created a scene to be arrested and sent to the prison so he could find out about his son from inside the prison. But was never able to identify him. 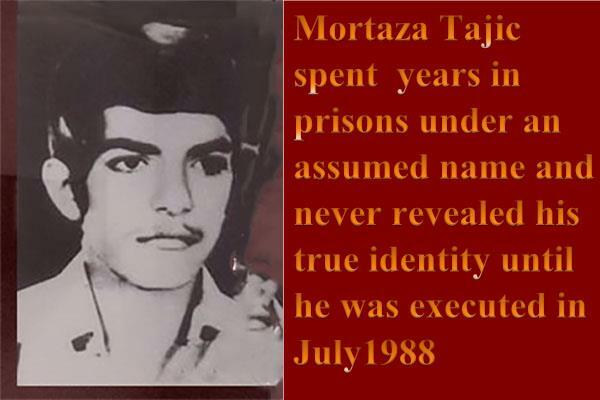 Finally in 1988 Mortaza was executed under that assumed name of Mojtaba Hashem-Khani, and his body was buried in a mass grave never identified by his parents. Some prisoners i.e. Taibah Khosrow-abadi, Tahmineh Sotoodeh and Mohsen Mohammad-Bagher were congenitally paralyzed. 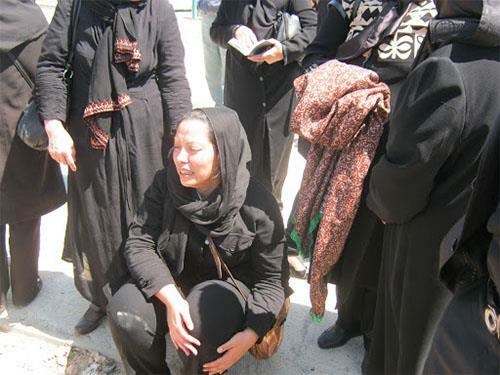 Shahin Panahi, another young female prisoner had lost a limb. Leila Dashti had brain tumor and was scheduled to be operated on soon. 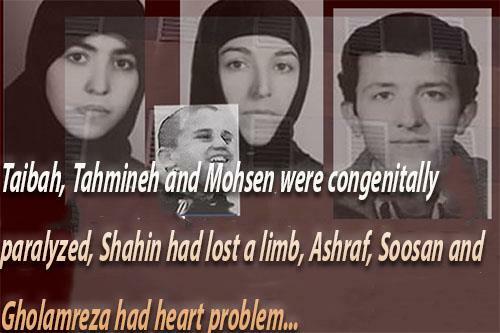 Ashraf Ahmadi, Soosan Salehi and Gholam-reza Mashhadi-Ebrahi had heart disease. But they all were executed despite their disabilities. There were dozens of others like them in the prison which were sent to the gallows. Many students who were taken from their high-school benches to prisons, were finally executed after 7 years of imprisonment. Lives were destroyed, families were torn apart and mothers died after they heard of their loved ones’ executions. Now after 28 years, many families are still searching for peace of mind. From July 27, 1988 to August 16, some 200 prisoners, mainly from Mojahedin, were executed daily. The executions were carried out entirely confidential and without any official announcements. Even the guards were not allowed to contact their families, in order to prevent any leak of the news to the public. But this criminal act did not stay silent and broke out of prison barriers and walls. 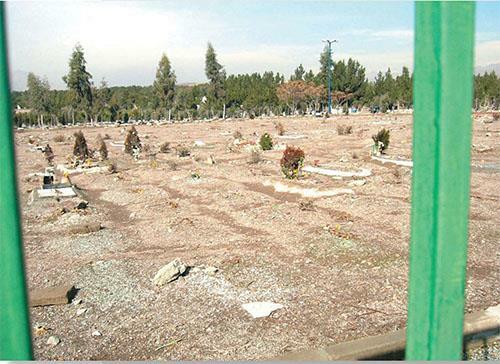 In a telegram to the then UN Secretary General, Mr. Masoud Rajavi, the leader of Resistance unveiled the horrific extent of the massacres and told the Secretary General of the 860 corpses that were buried in mass graves in Tehran’s cemetery, Behesht-e Zahra, two weeks earlier. A wave of international protests and campaigns were kicked off to condemn these atrocities by the Iranian mullahs’ regime. The efforts by the supporters of the PMOI under the leadership of Mr. Masoud Rajavi, and continued protests and demonstrations throughout the world forced the criminal regime to halt the wave of executions in late September, but continued public hanging until the end of that year. Public executions were carried out under the pretext of robbery, smuggling and being bandits, to cover up the real intention of the regime which was to eliminate any dissent. In Tabriz in the winter of 1988 political prisoners were hanged in the city’s public squares and often kept on the noose for more than 24 hours to intimidate the public. To date, there are only a little information about the extent of the massacre, especially in cities, including Isfahan, Shiraz, Rasht, Tabriz, Ardebil, Mashhad, Ahwaz, Abadan, Zahedan, Kerman and other major cities. And information in to the massacre in some other cities are about zero. In some prisons, every one of the prisoners were executed and no one survived to tell the tails of brutality against hundreds of innocent lives. Undoubtedly, while the dagger of hate and fundamentalism is still in the hearts of a nation, unveiling the true stories and the depth of criminality is almost impossible. But that day will eventually come when writers and historians would talk about what went on in the dark dungeons of Khomeini and what a heavy price this nation paid to keep alive the hope of freedom and human dignity. Hassan Rouhani was Deputy Commander-in-chief of the regime’s armed forces at the time. Furthermore, since 1982 he was a member of the regime’s Supreme Defense Council and a member of the Central Council of the War Logistics Headquarters. In those positions, he was fully cognizant of this hideous crime and obviously was in full conformity. This shows that the notion that Rouhani is a “moderate” and “reform minded” is absolutely preposterous and baseless. Actually he, like all other senior officials of the regime, is a culprit of this hideous crime. The massacre of 1988 remains to be one of the darkest stains on the recent history of mankind, as one of the least exposed and discussed. Some human rights experts have described it as the greatest crime against humanity in the 20th Century following World War II that has gone unpunished. It is the darkest irony of this very dark episode, that of all its human rights violations the Iranian regime has been most successful at keeping the 1988 killings a secret from the international community and even from many Iranians. By now, virtually everyone knows of the reign of terror that immediately followed the Islamic Revolution, the Iranian government’s assassination campaign abroad, and the “Chain Murders” that targeted opposition intellectuals and activists in the late 1990s. Tragically, however, there is very little public awareness of the 1988 executions. Not only has there been no prosecution of the criminals who orchestrated and carried out that summer’s gruesome murders, but the regime continues to deny that they even occurred. 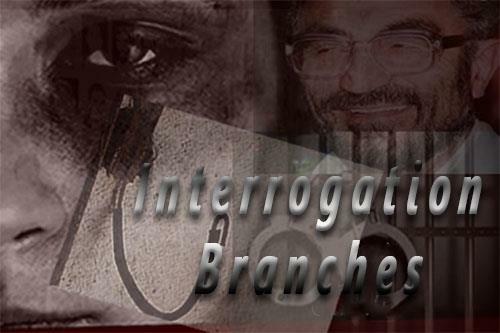 The Iranian regime continues to deny the 1988 elimination of opposition prisoners. None of the perpetrators or masterminds have been brought to justice and none of the regime’s senior officials including the current Supreme leader, Ali Khamenei, have been held accountable. The pervasive silence of the past 28 years should be shattered. The UN should launch an independent investigation into one of the most hideous crimes against humanity after the Second World War. The danger of overthrowing and the Iran’s mullahs response to it! The severity of the crisis in the regime and the hopelessness of the regime’s superiors was highlighted by the Supreme Leader Khamenei in a speech on Monday, February 18, 2019, while he tried to show the regime is powerful and defeat the enemy. He repeatedly told the regime’s authorities that they would not be scared or frightened, but he himself expressed his horror by stating that the Americans closed the sword and the Europeans were abusing it. In Khamenei’s words, it was clear that the crises in the regime had more severity and depth. In this regard, are we facing a new quality? Is this the situation, as the regime’s leaders say, is due to a psychological propaganda war? Is Khamenei and Mullah Rouhani, President of the Iran regime, and other heads of this regime, that this difficult and critical phase is a transitory period and the regime can overcome its and remain live? And finally, when the conditions of the regime become more critical, we witness unprecedented levels of propaganda and the regime’s demonization against the PMOI/MEK as the main force of the resistance of Iran? When it comes to the crisis in the regime, it comes to mind that this regime has always faced various crises; and so-called a system that lives in crisis. But the new conditions are special. Crises have reached to a point, to confessions of the regime’s leaders confirm that, so it is concluded that the situation is incomparable to before years and even months ago and accelerates towards a deterioration and more critical. The words that are raised or sometimes leaked out through of the discussions about budget in the parliament, or the reports of the regime’s own sources on the status of factories and agricultural production, etc., are shocking. “It looks like next year, the system will engage in serious economic struggles to meet the country’s basic needs,” said Hermidas Bavand, an expert at Mullah Rouhani’s gang. In the political context, if it is not worse than the economic situation, it’s definitely not better. Its index is the consensus that has emerged against the regime in the world, and Europe, which has supported the regime, is getting closer to the United States from the regime and closer to the United States because of its inability to respond to European conditions, including missile and regional policy. Warsaw Summit and Munich Security Conference. The conditions are such that Khamenei must come to the scene and talk in public about the regime’s fears caused by the psychological warfare and the threat of the enemy and try to claim that we are strong and that the enemy is in decline… gives them a morale, but it’s interesting that even in his own words, the effects of horror are clearly obvious, for example, where he says that the United States has closed the sword and Europe has it, and be careful that you do not get caught. Is not all this a psychological war against the regime? The reversal of the reality of crises, and that this is a psychological warfare, is an approach that Khamenei and Mullah Rouhani repeatedly repeat. But beyond any discussion and analysis, is this economic situation that is in front of everyone’s eyes and that the leaders and agents of the regime’s media also admit it is a psychological warfare? Is this budget deficit, which now actually reaches half the total budget, is a psychological warfare? Is the scope of the closure of the factories and workshops now even reached the guilds in cities, for example, the closure of 180 restaurants in Tehran alone, due to the cost of meat and raw materials and lack of customers, etc., is psychological warfare? These facts are all the depths of this crisis. Of course, Mullah Rouhani and his government members, by providing false figures and figures, are trying to reverse the facts, but indisputable indices such as reaching the price of 1 Kg meat to over 100,000 Tomans(1,000,000 Rials) and the resumption of the dollar’s rising price after a periodic suspension and an increase in the rate of inflation that some The sources of the regime estimate it at 60%. The difference between psychological warfare and reality! Psychic warfare is usually something that is not really true, and if so, if it has an effect, it has a temporary effect. Like the same psychological warfare and demonization against the MEK that the regime has continued for 40 years, but it has no legs in reality, neither within the MEK nor in its social and political affiliation, and the international status of the MEK and the National Council of Resistance of Iran (NCRI), has no effect. It does continuously lead to more scandals of the regime itself, and it even inevitably come out from inside the regime and it also exposes at Its media. For example, the explosion of the shrine of Imam Reza by one of the organs of the regime, or the reality of serial killings of libertarian priests by the Ministry of Intelligence and Security of the regime(MOIS). The relation between the rise of the regime’s psychological war against the MEK and the rise of the regime’s crisis. The relevance of these two categories is a logical relation. For example, when Mullah Larijani, the head of the judiciary and the regime’s Expediency Council, claims that the US government has been playing under the view of the MEK, it is because of the Warsaw Summit and the fact of authenticity of the MEK and the Iranian resistance as the only alternative of the regime, the horror has come down to it. Or, when the regime’s media writes that US rulers get paid by the MEK, they are showing off this “relevance”. It has now become clear that all propaganda against the MEK is not merely a hysterical hatred of the regime against its enemy. Because the regime actually sees the MEK’s line and the MEK’s analysis as it progresses inside and outside the country, and cannot do anything to stop it. The regime knows well, why the blade of its suppression slowed down? He knows well, why his breath in the face of people has been tight? And he knows that they are the MEK who have revealed the weakness of the regime on the international scene! And he knows that they are the MEK who are accelerating the developments and leading it to overthrow of the regime! And he knows well, if the regime had a chance to do so, only was destroying of this resistance, but by resettlement the members of the MEK to Albania, It has failed in massacre of MEK’s members. Now the mullah’s regime is being crazy by the hysterical propaganda against the organized forces of the Iranian Resistance PMOI/MEK. The severity of the crisis and the hopelessness of this Nation Iran is over and over in Jesus name amen! Amen! God bless you my friend. Feb. 5, 2019 – Regime Change: The Iranian Opposition’s Ultimate Solution. The Iranian people’s right to resistance and freedom needs to be recognized. Mrs. Maryam Rajavi, the President-elect of the National Council of Resistance of Iran (NCRI), welcomed the United States’ distancing itself from policies whose first victims have been the Iranian people and the Iranian Resistance. As ministers from several states get ready to gather for the Poland Summit in Warsaw to discuss the threats posed by the Iranian regime, Maryam Rajavi once again underscored the fact that gaining access to weapons of mass destruction, violations of human rights, export of fundamentalism, and terrorism are the four pillars of the theocratic regime ruling Iran. The ultimate solution for getting rid of the mullahs’ religious fascism in Iran, is changing this illegitimate regime at the hands of the Iranian people and Resistance. Recognition of the National Council of Resistance of Iran, the sole democratic alternative to the terrorist religious dictatorship in Iran, is imperative to rectifying and ending the disastrous U.S. policy of appeasement over the past four decades. The clerical regime which holds the world’s record in executions will only understand the decisive language of force. Compelling the government of Iraq to pay compensation for the properties, equipment, arms, and base-camps the PMOI/MEK and the National Liberation Army of Iran (NLA) had fully paid for and whose documents are available. Brussels – Feb. 4, 2019 – On Monday, a conference at the European Parliament headquarters in Brussels, Belgium, discussed the growing terrorist activities of the Iranian regime and the correct policy that the international community, especially Europe, must take to address the threats posed by the Iranian regime. The conference comes less than two weeks prior to a major international conference in Warsaw, Poland, where senior officials will be discussing multitudes of threats the Iranian regime is posing to global peace and security. It is also being held against the backdrop of increased terrorist activities by the Iranian regime in Europe. Former European Parliament Vice President Dr. Alejo Vidal Quadras, who moderated the conference, stressed that terrorist acts coming out of Iran are being coordinated at the highest levels of power within the regime, a fact that Iranian regime Foreign Minister Mohammad Javad Zarif implicitly admitted to in a recent parliament hearing. Quadras also criticized the EU’s decision to only take minimal punitive measures against the Iranian regime for its terrorist activities. “The question is, why only a branch of the Intelligence ministry and not all of it has been added to the European terror list. Why hasn’t the Revolutionary Guards (IRGC) been sanctioned. Why not the Supreme Leader and the President, who are directly responsible for many of these plots, been sanctioned? Why are Europeans seeking business as usual with the Iranian regime,” Quadras said. Quadras warned that the European Union’s appeasement policy is giving the Iranian regime the green light continue its terrorism. “The EU insists the nuclear deal remains in its security interest. Yet these terror plots have happened after the nuclear deal was forged, which casts doubt over the promised security of the nuclear deal,” he said. “In Europe, we know the historical dangers and consequences of improper appeasement,” said Former FBI Director Louis Freeh, who spoke at the conference. Judge Freeh explained that while the regime is faced with an economic crisis and a plummeting national currency, it is desperate to maintain its influence and leverage. “That’s why it is resorting to terrorism,” he said. European countries want to both appear strong and they also desire their relationship with the Iranian regime, Judge Freeh said, which is resulting in a contradictory policy of trade deals and very minimal punishments for egregious acts of terrorism by the regime. Freeh also asserted that despite a failed terror plot in Paris, the Iranian regime continued its terrorist activities in Europe. “The regime will continue to operate that way as long as European capitals tolerate that,” he said. “We want the people of Iran to someday have the freedoms that we’re taking for granted. European governments must strengthen their resolve against the Iranian regime. Farzin Hashemi, a member of the Iranian opposition National Council of Resistance of Iran (NCRI), provided details into the regime’s terror network active in Europe. “The Iranian regime’s MOIS, IRGC and IRGC Quds Force are all involved in the mullahs’ terrorism apparatus. Our latest information from inside the regime relates to the regime’s terror plot against the opposition Iran Freedom rally on June 30th in Paris. In reference to Albania, where members of the People’s Mojahedin Organization of Iran (PMOI/MEK) are based and the Iranian regime is focusing its main terrorism efforts, Hashemi explained how the government of this country has adopted strong measures against Tehran. “The prime minister of Albania expelled the Iranian ambassador and chief intelligence officer from his country. Albanian officials explained that the Iranian regime were plotting to bomb a ceremony of the PMOI/MEK. Mohammad Nia, one of the expelled diplomats, was also one of the members of the nuclear negotiations team. Hashemi went on to shed light on the closely knit terrorism-decision making network in Tehran. “The MOIS is closely tied to the Ministry of Foreign Affairs in terrorist activities. Terrorism is institutionalized at the highest levels of the mullahs’ regime, at the Supreme Security Council headed by the President, now being Hassan Rouhani. Afterwards, the decisions are sent to the office of Iranian regime Supreme Leader Ali Khamenei for approval. Terrorism is part of the regime’s DNA,” the NCRI member explained. Looking forward, Hashemi spelled out the measures necessary for Europe in the face of the Iranian regime’s growing threats. “I think it is time for Europe to take a firm stance vis-a-vis the mullahs’ regime. All officials involved in these decisions must be sanctioned. They do not represent the Iranian people. They are in fact suppressing the Iranian people at home, while being interlocutors of Mrs. Mogherini,” Hashemi explained as he emphasized. The Iranian regime is especially unique in using its embassies and missioning its diplomats for not only intelligence gathering measures, but also carrying out terrorism plots. “Clear and proactive initiatives by member states should be adopted. 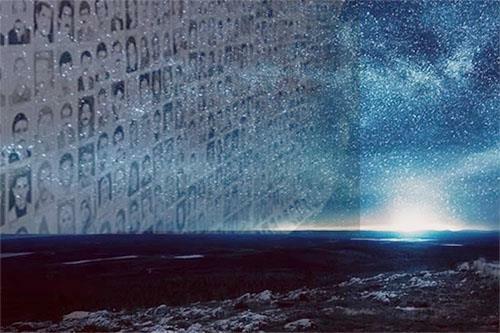 There is an ongoing cooperation between Western intelligence and Iranian proxies… Iran has a special status in its approach and relationship with the West, especially in regards to intelligence interaction. The cooperation here is on a different level,” said former Italian Former Minister Giulio Terzi. “Diplomats suspected of being involved in criminal plans must be immediately expelled from European countries. A strong policy must be adopted. There must be much more courage among European countries. We must pay special attention to the safety and security of our people,” he emphasized for EU officials in Brussels who decide on their policy and approach with the Iranian regime. “The cyberthreats from Iran must also be dealt with in a specific way,” the former Italian Foreign Minister added as Tehran steps up its malign activities in this field. Totalitarian regimes resort to terrorism to remove their opponents, explained former French intelligence chief Yves Bonnet. Defined as state terrorism, it is worse than other forms of terrorism and far worse to have terrorism carried out under diplomatic cover and through embassies, he continued. “The Islamic Republic of Iran is one of these terrorist state. It is carrying out bomb plots, assassinations, abductions and much more, especially in the first two decades of its existence,” the DST chief added. What remains mind boggling to those unfamiliar with the terrorism nature of this regime is the reason and logic behind Tehran’s terrorism campaigns and measures. “Why is the regime taking the risk to engage in terrorist activities again? It is faced with various difficulties on political and economic fronts. And it is its habit to make terrorist attempts against the opposition whenever it finds itself in a difficult situation,” Bonnet emphasized. “The new stance of European diplomacy is great news, and it will complicate things for the Iranian regime, which usually banks on rivalries between European states. But we must also make it clear that we’re willing to take further steps, such as closing down their embassies. Because it’s clear that the Iranian regime uses its embassies at bases of operations for its terrorist activities,” the DST chief reiterated by voicing strong measures against Tehran’s mullahs. For four decades, the Iranian regime has been using terrorism as a foreign policy tool, according to Claude Moniquet, a retired French journalist and a former intelligence agent at the French Directorate-General for External Security. “[Iran’s regime] uses terrorism to fuel tensions in the Middle East… This regime has developed a security apparatus that, on the one hand is designed to extend its rule, and on the other, to expand its terrorist ideology abroad,” he explained. “There might be personal rivalries between the mullahs, but where foreign policy is concerned and the use of the diplomatic apparatus for terrorism, regime officials are of a like mind and all decisions are made by the Supreme National Security Council,” the former DST intelligence agent added. The Iranian regime is based on the two pillars of domestic crackdown and foreign warmongering. Terrorism is one such tool used by Tehran in response to a conglomerate of crises. “Why would the regime resort to terrorism? There are internal problems in Iran. The regime needs to eliminate the MEK and NCRI to maintain its hold on power. Because these are the main opposition that can organize protests in Iran. The regime also has interests in preventing the Palestinian and Israeli peace talks to keep the situation in Middle East complicated and insecure,” Moniquet explained, shedding light on the various aspects of Tehran’s malign activities. “The regime has also carried out terrorist activities in Europe. There were dozens killed in Europe in the past decades, but the Iranian regime has never met a firm response. Europe has conveyed the message to the Iranian regime that it can conduct terrorist activities on their soil without being held to account,” he added, reiterating the importance of Europe adopting a firm approach against the mullahs’ regime. Thanks Dalvand for the update. God’s dominion and authority shall rule over the Nation of Iran. Amen!